WhiMSy love: Summer Diary: Day 40: Fireworks, of course! Summer Diary: Day 40: Fireworks, of course! Once a year we get to light things & then run screaming. This year the Mr. took the girls to buy fireworks. 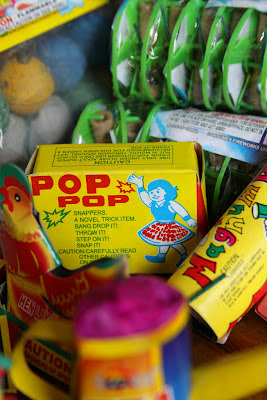 The girls had $5 each to spend & they chose adorable little fireworks with names like "Teapot" & "Hen laying eggs". And, of course, my favorite snap-pops. The Mr., by the way, goes crazy for the ole fireworks. He doesn't do a lot for himself all year. He doesn't have a regular hobby per se (besides his frequent visits to the gym, & reading books) so it's fun to see him act like a kid on this day. He even giggles. Which is funny. When he giggles, it's my favorite. The girls & I donned our newest 4th of July brooch creations & then the fam headed over to a friend's house for a BBQ before the fireworks. We brought along bratwurst & a fresh fruit salad. Friends & food is always a good setting for a great day. As the fireworks started being launched, chaotic all around, Zoey & I found a safe place in the background. It seemed I was a magnet to things flaming & zipping. (Needles to say, I screamed. A lot.) 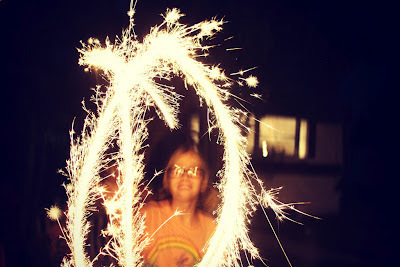 Zo-zo & I pulled out the sparklers for some mild 4th of July entertainment. I LOVE sparklers! (Especially for fun photo-taking.) I even save some every year so I can play later. 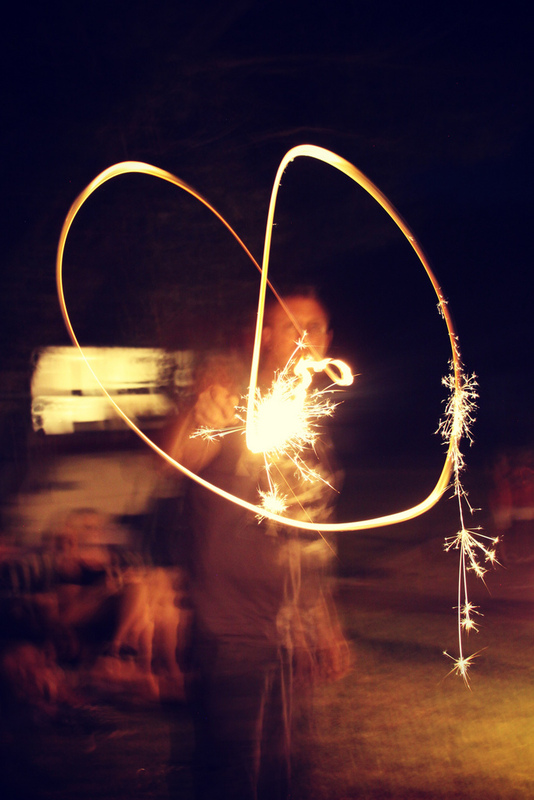 The Mr. even made me a heart with his sparkler. And then all of a sudden he got macho & he was like, "What am I doing?!" And then I realized his heart looks like a pretzel anyway. I handed some sparklers to the kids & one little 6 year old child approached me, complaining that the sparklers didn't last very long. 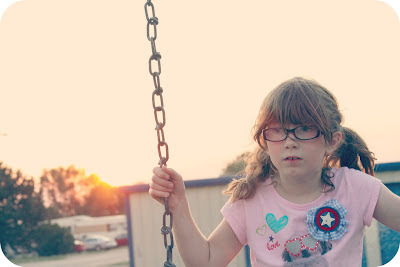 With an adorable little lisp she explained, "I tried spelling out my name & it stopped working when I got to the "e"." While I was trying to figure out which "e" exactly she meant (there are two "e"s in her name), I realized that was not the important part. The child needed another sparkler! Hope your 4th was a fabulous one!